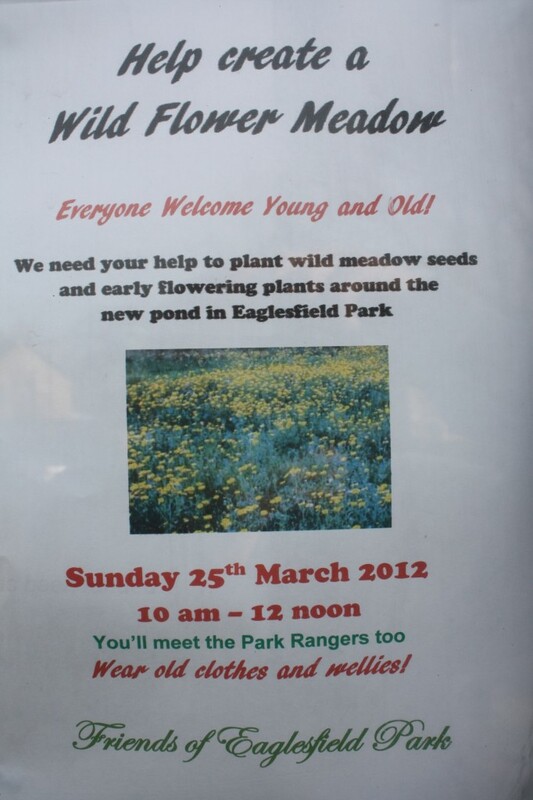 The Friends of Eaglesfield Park are looking for help to create a wild flower meadow around the new pond in Eaglesfield Park on Sunday 25th March from 10.00 to 12.00. As their poster, pictured above, says: all are welcome. 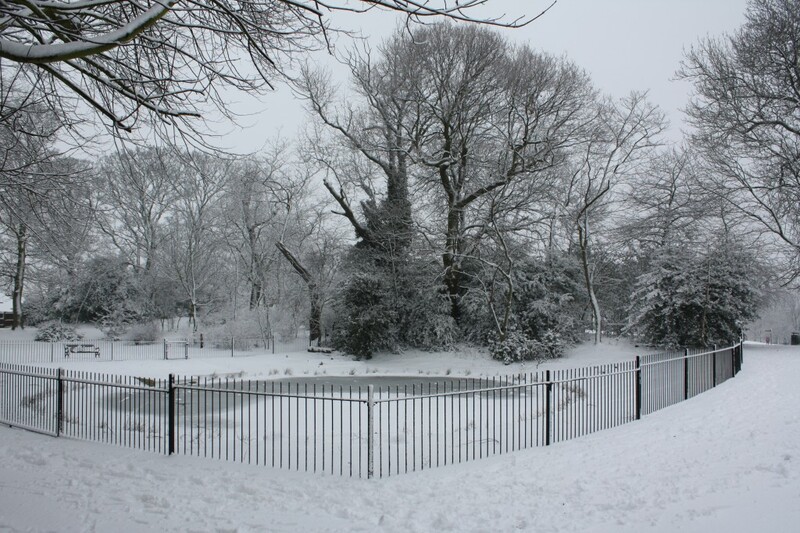 This is the latest stage in the Friends’ refurbishment of the Lilly Pond which started last November. With the luck the 25th will be blessed with the same beautiful spring weather as we have at the moment, unlike last month when I took the latest in my series of photos of the changes in the pond. I’m looking forward to taking a more colourful one when the wild flower meadow grows up.